The 1963 Grand Sport only barely qualifies as a production car but, going for between six and eight million dollars, it definitely qualifies as valuable. 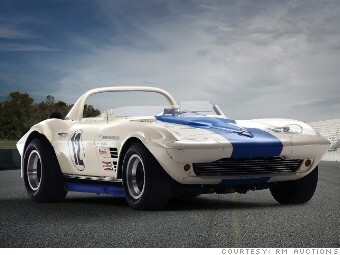 Only five were built before General Motors pulled the plug on the program that created it. Underneath that Corvette body it was, for practical purposes, a racecar. With the all-new seventh-generation Corvette being unveiled in Detroit, the experts at Hagerty Insurance, where they closely track collector car values, put together this list of the 10 most valuable collectible Corvette production cars from years past.